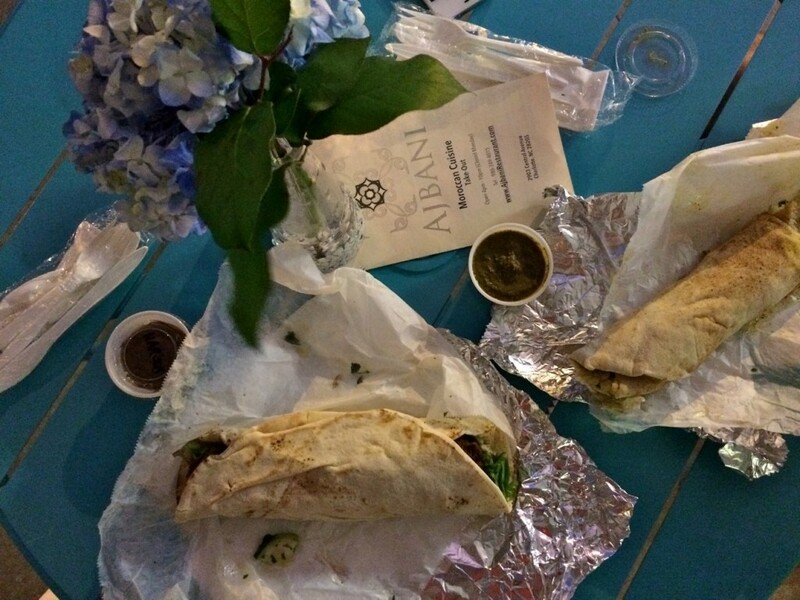 When Ted told me there was a Moroccan place opening in my neighborhood I was 1) offended Ted knew anything about Plaza Midwood I didn’t and 2) very excited to eat some falafel. 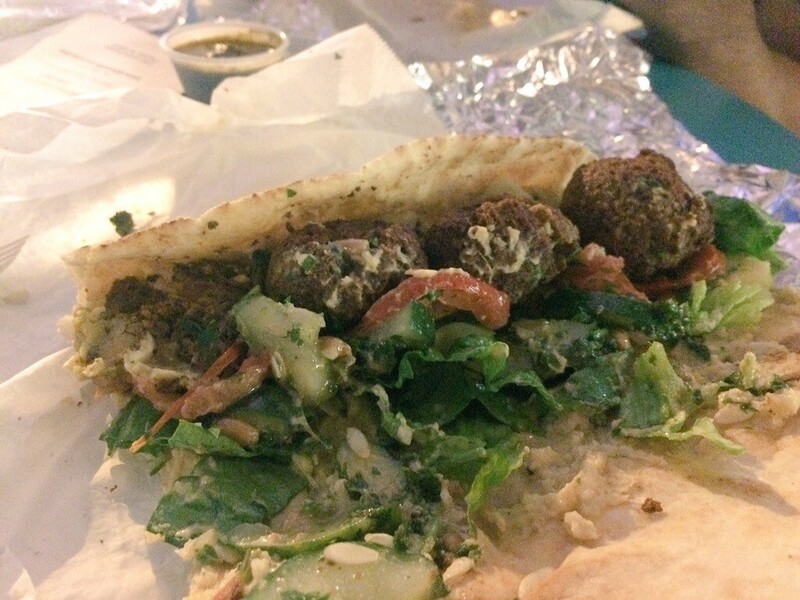 Falafel is my favorite food, my lifeblood, the base of my food pyramid. 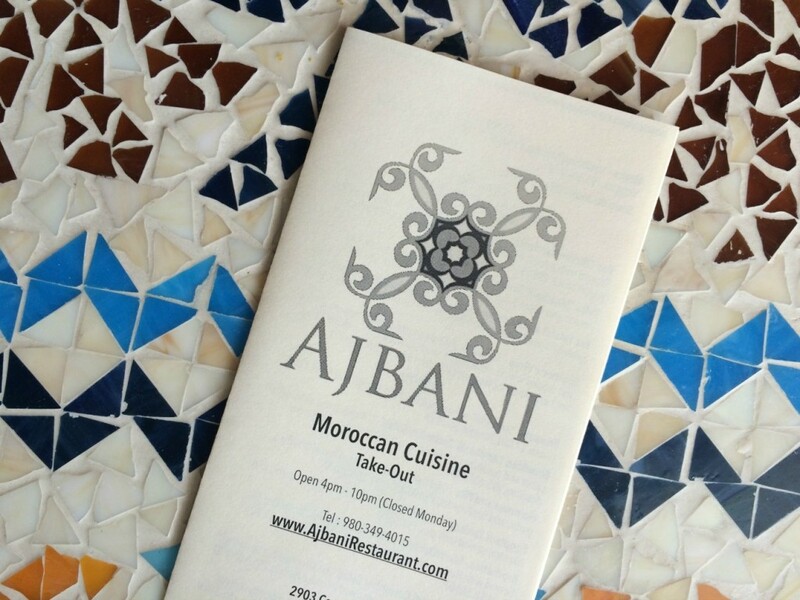 I love it and know it well and Ajbani, the new Moroccan takeout joint on Central Ave, is definitely doing it right. I got the falafel wrap and it’s the closest I’ve found to what I survived on in Spain for three months back in college, which was also the closest I’ve ever been to Morocco so I consider it pretty authentic. 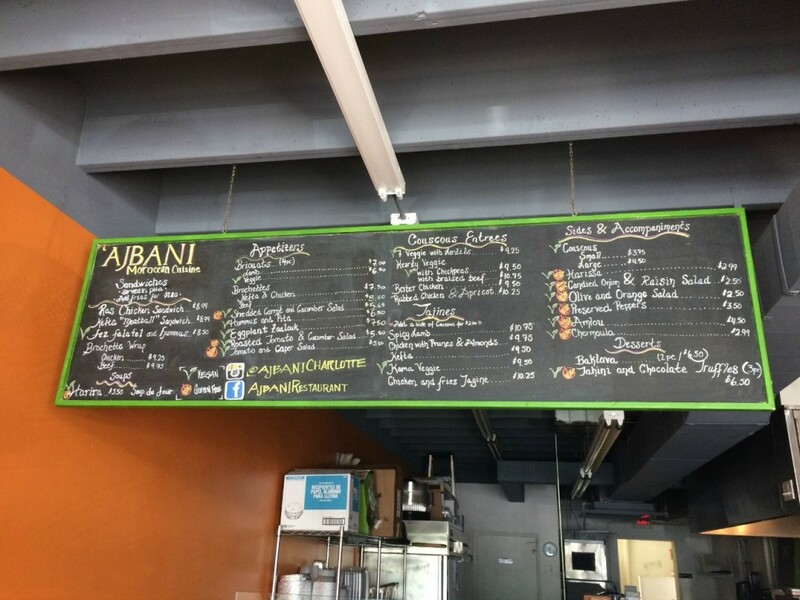 While I could rant on for days about the falafel, Ajbani has plenty more to offer up. 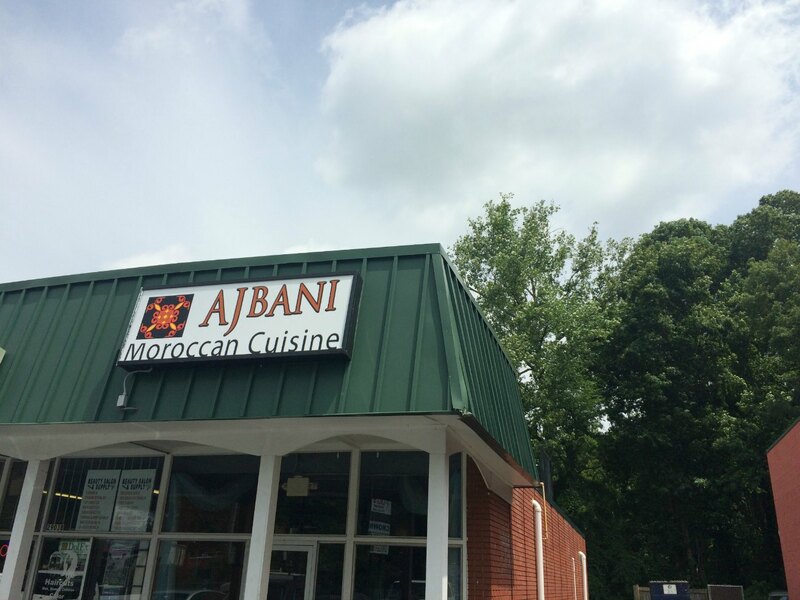 They’ve got salads, hearty couscous entrees and traditional tajine offerings with lamb, chicken, kefta (Moroccan meatballs) or veggies. My boyfriend, who’s a fan of any burrito-like vessel, got the beef brochette wrap and immediately wanted another one if that says anything about that. It’ll be a challenge to steer me away from the falafel, but I definitely want to get back in to try the chickpea couscous, kama veggie tajine and every single salad and side. Challenge accepted.